I saw Ken Griffey, Jr. trending this morning and I immediately got nervous. Whew! False alarm. He’s ok. The reason for him trending? Well, today is the day that the 2016 Major League Baseball Hall of Fame class is announced. Today is the next first step in Griffey, Jr journeying to taking his rightful place in Cooperstown. Let all the fans across the globe rejoice! Long before people associated #24 with Jeff Gordon and Kobe Bryant. Long before Dale Earnhardt, Jr would step into the spotlight as Junior, Ken Griffey, Jr. aka JUNIOR was the #24 all athletes wanted to be like. His athletic talent was outerworldly. His knowledge of the game was envious. His swagger, long before the term was ever coined, superceded everyone else’s on the diamond. Junior is easily one of the most revolutionary athletes to not only pick up a baseball bat but to play sports, period. I was not sure what to expect when I saw CC Sabathia’s name trending earlier today as he is not in the news often. The New York Yankees are in the playoffs for the first time since 2012. Heading into the postseason, they will be without one of their veteran players. Sabathia is checking himself into rehab to confront his alcohol addiction. Can we pause for a minute and really think about the magnitude of Sabathia’s choice? If you think I am looking at this from the stand point of what this means from the Yankees, then you have missed the point already. I need you to look at it from the stand point of here is a player who is on the roster of the most storied franchise in Major League Baseball history. While not expected to win the World Series this year, it is October and anything can happen. The Yankees have been in a slump for a few years and have rightfully so returned to take their familiar seat at the playoff roundtable. Veterans such as Sabathia will be called upon to mentor and guide their younger counterparts through the ups and downs of postseason life. I have not been feeling very “sportsy” lately. What does that mean exactly? Well, my life often revolves around sports. I have been known rearrange activities or even skip them because “the game” is coming on. I watch SportsCenter daily. I read ESPN.com daily to stay abreast on the latest happenings. And I answer at least one question a day from someone regarding something sports related. Last Wednesday night I cried. And I prayed. And I asked God for comfort. But not for myself. I was talking to him about Josh Hamilton. If you have spent any significant time around me the last few years, then you know how much of a fan I am of my brother in Christ. The story popped up on my time line last Wednesday that Hamilton was meeting with Major League Baseball officials regarding a disciplinary issue. Despite his past, my first assumption was NOT that this was drug related. I did not know what to make of it. I just knew I needed to pray. Then the story dropped, which has yet to be officially confirmed. Hamilton suffered a relapse. My heart sank. Supposedly the relapsed involved at least cocaine and alcohol. That is when the tears started. Hamilton’s “Beyond Belief” is one of my favorite books. A few years ago after reading Coach Tony Dungy’s “Quiet Strength” I became very intrigued with reading about the lives of others, particularly fellow believers in Christ. I was enamored and always floored by the paths some people had taken to get to where they are now or were. I was amazed to see how God weaved different situations into their lives to pull out the best results. Their stories were a sheer testament to the goodness of God and how He continues to watch over and protect us even we are causing destruction in our own lives. What I loved so much about Hamilton’s book was his honesty. He was very open about his struggles. Hamilton started in detail from his childhood days growing up as a youngster who could throw and hit harder than most teenagers to the path that lead him to become engulfed in the drug culture. From the outside looking in, it was hard to see how this could happen. From the outside looking in, Hamilton had everything you needed to be successful: a two parent household, a loving family, great people skills and an enourmous amount of athletic talent that rivaled my other favorite baseball player, Ken Griffey, Jr.
None of that was enough to keep Hamilton from straying off the path that had been laid out for him by others. As many of you know, Hamilton became addicted to cocaine, struggled with alcohol consumption and was out of Major League Baseball for three years. It is a story that was well documented during my time at North Carolina State which is located in Hamilton’s hometown. The story soon turned from tragedy to triumph as Hamilton battled his demons to find himself back on the field and excelling at the sport he dominated in his youth. So Wednesday night hurt. I do not have to know Hamilton to know that he has been living his life to genuinely please God. So Wednesday night hurt. I do not have to know Hamilton to draw inspiration from him. So Wednesday night hurt. I do not have to know Hamilton to know that for as hurt as I am, he probably feels a thousand times worse. It is easy to sit around and chastise Hamilton but it takes a bigger person to not pass judgement. This is a guy who willingly went to the MLB officials and admitted his wrong doing. We all have things we struggle with. While it may not be drugs, it is something that can in turn be a “drug” for us. My heart goes out to Hamilton and I will continue to pray for his recovery. I am fully believing it will happen. The same God who pulled him out the last time can pull him out again. I was minding my own business, drinking a nice hot cup of hot chocolate last night when I hear my mother say, “Ut oh. They were fighting at the race, again.” I reply, “Again?! Who was it this time?” Immediately we both began to search social media for answers. A few weeks ago, after watching the finish of the Bank of America 500 in Charlotte, cameras were fixated on Brad Keslowski and Matt Kenseth. According to Kenseth, Keslowski immediately drove him into a wall during a restart. The damage to the car caused Kenseth to drop out of the top five and settle for a 19th place finish. With two laps to go, Kenseth retaliated by swerving into Keslowski. Following the finish, as the cars rolled down Pit Road, a still bitter Keslowski hit Kenseth, again, with his car. When both players exited their vehicles, words were exchanged while members of their respective crews tried to separate the two. A few minutes later, cameras are once again on Keslowski as he is walking alone between two trailers. Suddenly, like a thief in the night, Kenseth storms down the alley and proceeds to put Keslowski in a headlock. As a reward, Keslowski was fined $50,000. Kenseth received no fine. I do not even feel like sorting out yesterday’s fight that involved Jeff Gordon and yep, Keslowski. Young man stays brawling. NASCAR is a very popular sport. It is a sport that I happen to love but I have noticed something. For all the brawls that have taken place over the years, there is a never a major uproar about them. 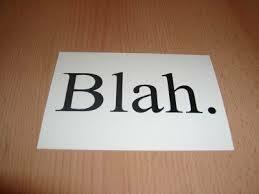 Sure, I hear people talking about Tony Stewart and the Busch brothers all the time. One would think with the amount of swinging and intentional crashing that has been taking place on the speedway, we would hear more about the “violent” NASCAR drivers. Oh wait, we are talking NASCAR which means it is ok for drivers to have melees on occasion because it is part of the sport. One has to wonder though? What makes their fights any different from the ones I have seen in the NFL? Or the NBA? Baseball is known for its bench clearing brawls but these are seemingly welcomed just as much as the seventh inning stretch its. So I am left to ponder. Is there a double standard when it comes to fighting in certain professional sports? Oh wait. I do not need to ponder. I know the answer. Yesterday was the kind of day I love in sports. Well almost. It started off rough. The morning brought us the sad news that baseball legend, Tony Gwynn, had passed away at the young age of 54. I can admit. His passing left me choked up. Partly because cancer had claimed another person who made such a tremendous impact, not only in their profession, but in this world and partly because little pieces of my childhood keeps getting taken away. Michael Jackson. Heavy D. Paul Walker. Nelson Mandela. Maya Angelou. Junior Seau. Flo Jo. Walter Payton. And now Tony Gwynn. I was always a follower of Gwynn’s career. Unfortunately, I did not get to see him play a lot because the San Diego Padres were rarely on tv but there were plenty highlights of him on SportsCenter. The swing. The stolen bases. The smile. Gwynn was the kind of player you wanted on your team. Reliable. Dominating. Loveable. Resilient. Daring. Consistent. I never heard a player, manager, reporter or fan say anything negative about him. From what I know he was always the m gentleman who excelled at the game of baseball and life. As Twitter and Facebook lit up with RIP posts, I read articles that highlighted his many achievements. Career batting average of .338. 3,141 hits. 8 NL batting titles. 15 time All-Star. Played in 1,838 games. Only 34 games where he struck out more than once. Let that sink in. If you had the privilege to watch Gwynn play then you were privileged to watch one of the greatest to ever play the game. How can that not eventually bring a smile to your face? As the day progressed feelings of sadness would give way to exuberance as the US Men’s National Soccer Team fought for victory. Everyone on my TL was talking about it on Twitter. Everyone in my newsfeed was talking about it on Facebook. For a few hours, we were all on the same page. Again. Reminiscent of earlier when love was being spread all around in reference to Gwynn’s passing, Americans had united to cheer our team on to victory. We watched them give their all to issue payback to Ghana for ousting them in the previous two World Cups. In the 86th minute, revenge was executed. Set up by a perfect corner kick from Graham Zusi, substitute John Brooks put himself in position for the perfect header that would ultimately win the game for the US. I, along with countless other Americans, squealed and cheered in delight. Happy that “our boys” were victorious over their nemesis. While the famous and not so famous posted congratulatory tweets, a mutual follower expressed his thoughts about it all. He tweeted, “Dunno which is worse, the Heat bandwagon or those who all of a sudden love soccer. I think it’s the latter. #lame.” I responded that he should let us enjoy it because it only comes around once every four years. I would have liked to elaborate but I am not one to send out simultaneous tweets to get my point across. That is why I have a blog :-). To my follower: Yes, there are plenty of people who are all of a sudden tuned in to a sport they do not follow on a consistent basis, me included. I know more than the average person but it is not a sport I keep up with day in and day out. What I can say is that days like yesterday make me happy. In our country, where the news is constantly filled with violence, politics and crime and my TL is sometimes full of rants, gossip and sadness, days like yesterday make me smile. For a few hours, we were all on the same page. UNITED as Americans cheering for fellow Americans. It does not happen very often but when it does, we should cherish it. So yes, you will see more soccer “fans” than usual and that, in my opinion, is part of what the World Cup is all about. Countries uniting, hoping for one common goal. To bring home the ultimate victory. After a rough start to the day, it was the perfect ending. I remember this day, last year, so well. I woke up excited to blog about the heroic contributions of Jackie Robinson. It was my first time writing about him and I could not wait to share my thoughts with the world. I was happy to see that #JackieRobinsonDay was trending on Twitter. Major League Baseball players were tweeting and Instagramming pictures of their #42 jerseys. And somewhere in the U.S, the last player to wear #42, Mariano Rivera, was gearing up for his last Jackie Robinson Day. As I continued to enjoy the day that was known as Jackie Robinson Day, I would later find myself in tears as the Boston Marathon was rocked by an act of terror. I cried as I prayed for the runners that were injured. I cried as I prayed for the families who had not heard from their loved ones. I cried as I prayed for all those who would be tasked with saving lives. As the days rolled on, I found myself feeling proud to be a part of the running community. All across the nation, runners were banding together to stand united for Boston. 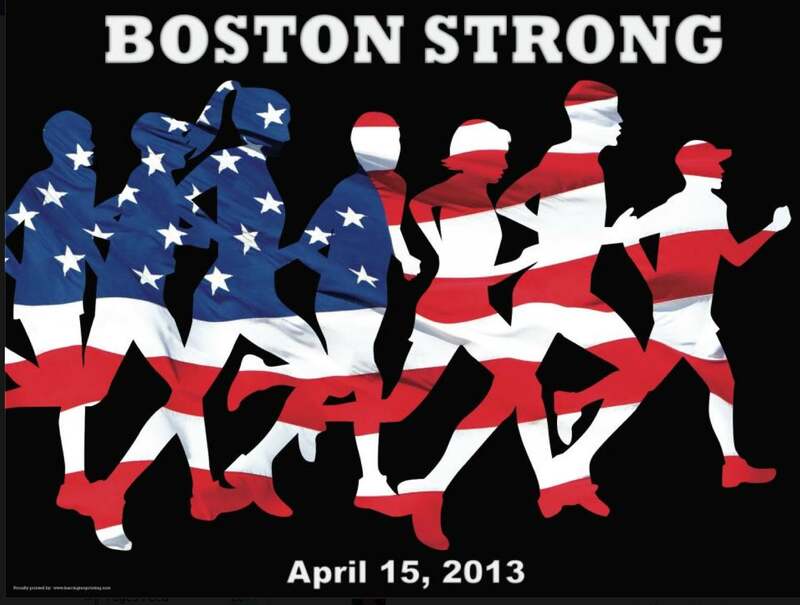 One year later, as Boston remains strong, I am reminded of why I was excited to blog on this day. One year later, on a day that is now forever linked to tragedy, we can all look to the example that Jackie Robinson set for us 67 years ago. An example that showcased determination, heroism and courage. On Monday, when runners take to the streets of Boston we will see reflections of that same legacy manifested in the form of men and women, some whom never got the chance to complete their race last year. 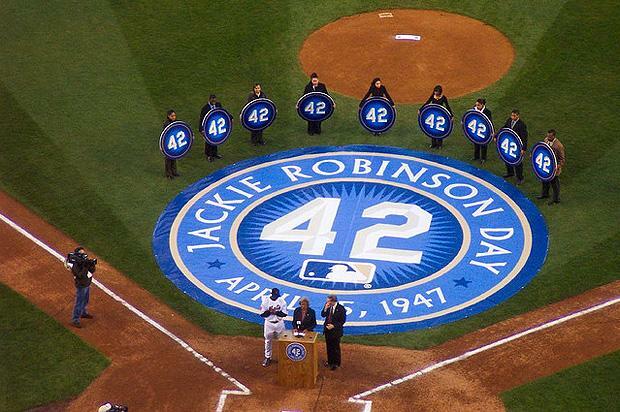 Jackie Robinson Day. Boston Marathon. April 15. Forever linked. Forever unbreakable.